Honestly, my most popular post (by FAR!) has been my Incredible Shrinking Leprechaun Hats which has 4 times as many hits as any of my other popular posts. I am so over St. Patrick's Day and I am pretty sure that most everyone else is as well (if, by chance, you are not, you can click on the title to check it out above). One of my other popular posts is ANYTHING to do with popcorn words like the following post. I guess a lot of people are either interested in doing them or actually doing them. There is no way I could turn back now and call sight words or high frequency words anything other than popcorn words now! The students "get" this reference and hold onto it tightly. The order of introduction is the same in each of these products and is research based, following along with the Kindergarten Treasures Reading Program. This product serves as a great piggy back program with Treasures or can stand alone and be particularly helpful to teachers who do not have a spelling curriculum for their kindergarten classroom. It provides everything you need to implement an methodical, effective spelling "program" over the course of a year in your classroom. Your students will be spying popcorn words popping up everywhere once you begin this program. 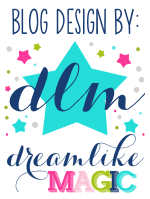 If you are still unsure, please check out my freebie sampler packet I have put together for you and try it for yourself. Click on the picture at the top of the post to grab the free sampler kit. I recommend only printing the work pages so all your printer ink doesn't get soaked up! I also wanted to share another popular freebie of mine which is a blank popcorn piece. Believe it or not, they are very hard to come by (speaking from experience). You can do a lot with this little piece of popcorn that I have modified to suit my classroom needs and here it is FREE for you! 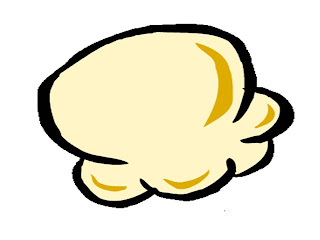 Click on the popcorn word to get a popcorn jpeg like this!